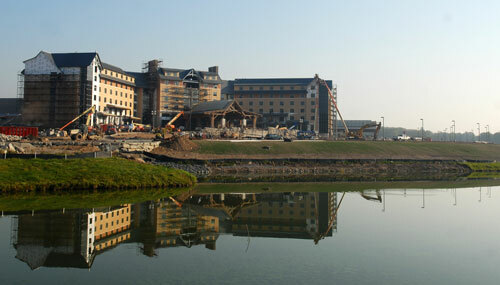 Situated in Mount Pocono, Mount Airy Casino and Resort is in the mountains and close to Mount Pocono. Additional area attractions include Camelback Ski Area and Pocono Adventure Center. Hotel Features. Mount Airy Casino and Resort has a full-service spa, a golf course, and a health club. Complimentary wireless and wired high-speed Internet access is available in public areas. Business amenities at this 4-star property include small meeting rooms and a technology helpdesk. Dining options at the hotel include 5 restaurants along with a bar/lounge. Additional amenities include a casino, a nightclub, indoor pool and spa services. Valet parking and self parking are complimentary. The property has designated areas for smoking. Guestrooms. Rooms have lake views. The 188 air-conditioned guestrooms at Mount Airy Casino and Resort include CD players and laptop-compatible safes. Beds have pillowtop mattresses and premium bedding. Complimentary wireless high-speed Internet access is provided. Rooms are equipped with flat-screen TVs with cable channels and pay movies. All accommodations provide desks, complimentary weekday newspapers, and speakerphones. Bathrooms offer handheld showerheads, makeup/shaving mirrors, hair dryers, and complimentary toiletries. All units feature minibars and coffee/tea makers. Additional amenities include irons/ironing boards and clock radios. In addition, amenities available on request include a turndown service and hypo-allergenic bedding. Housekeeping is offered daily. The initial building phase included a 200 room hotel, 3000 slot machines, four restaurants, 18-hole golf course, indoor pool, spa, retail shops, and more. Conference and entertainment facilities are planned as well. Ultimately, the casino property is expected to have 5000 slots and 400 hotel rooms. Our Review. PoconosBest.com visited the New Casino on it's Preview Night (Oct 20) The new Casino is really remarkable and impossible to describe without making comparisons to other Casinos. For those who have visited Atlantic City, the Mount Airy Casino will remind you of a small Borgata with its in-the-round casino floor full of slots and video games. As at the Borgata there is a central area with Bar in the round. Here you can sit (or stand) and enjoy a cocktail while conversing or playing one of the On The Bar video poker games. Restaurants and shops are on the perimeter. A well rounded selections of restaurants includes a Steakhouse (Red), and upscale Italian eatery (Le Sorelle), Betty's American Diner, and one of the Best Buffets of any of the over 50 Casinos this reviewer has visited. There are no comparisons to "Racinos". 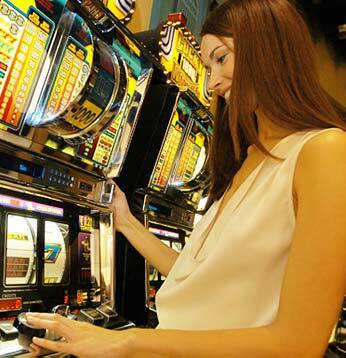 The Mount Airy Resort is a complete casino experience. Upon entry to the property you have a choice of Valet or Self Parking. The Multi story Grand Entrance with its two story cascading boulder and tree lined waterfall is impressive. There are four "Player's Club" counters to make your introduction to the gaming club swift and easy. 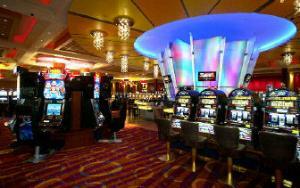 The casino floor is well lit and easy to navigate. (Just walk around or follow most isles to the center bar).